Our client, age 62, was driving down Colorado Boulevard in east Pasadena. He spotted a woman wearing a black and white dress and with red high-heel shoes. He pulled alongside her, suspecting she was a prostitute. 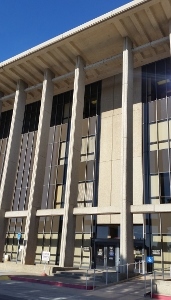 Synopsis: Alhambra Courthouse, client arrested for soliciting prostitution (Penal Code § 647(b)) on Colorado Boulevard in Pasadena, court grants our motion for diversion under AB 2124, case dismissed. She saw him and motioned for him to roll down his window several times. He nervously did so, slowly. She was not a prostitute at all – she was a police officer with the local vice unit, posing as a prostitute (a “decoy”). Our client then parked his vehicle and walked toward the police officer. She then led him to the “take down room,” where three large male police officers arrested him. He was released after being cited at the scene, signing a promise to appear later in the Alhambra Superior Court. The client called our office about a week later, worried about what to expect and concerned that he might lose his job in the defense industry with a conviction for prostitution. Greg spoke with the client and listened to the client describe what happened. Greg explained how such cases are often handled by prosecutors, but that as of January 1, 2015, there would be a new diversion program available in Los Angeles County for most low-level offenses. Greg told the client that the goal in our client’s case would be to delay the case until into 2015 and then to submit a brief to the judge to request such a program. When Greg first appeared for the client, the initial offer made by the prosecutor was a $300 fine, plus penalties and assessments (about $1,400 total), completion of an AIDS Education class and testing, plus three years of summary probation. Greg continued the matter for two months and then submitted a motion for imposition of diversion under Penal Code § 1001.94 to § 1001.98 (AB 2124). The Alhambra Superior Court judge granted the motion and assigned the matter to diversion upon condition that the client complete such an AIDS Education program and test and perform five days of community service within one year. When the client completes this, the case would be dismissed if the client stays out of trouble for the year. The client accepted the deal, relieved to avoid a conviction for a misdemeanor, pleased to avoid almost $1,400 in fines and happy to earn a dismissal in a year. He knew that with the dismissal, he would not face possible problems with his job and not have to face any embarrassing questions about what happened.